The wait is over! Finally, TaiG version 2.1.1 is released for iOS 8.3 jailbreak with fix for Cydia Substrate and a number of other issues. The fix for Cydia Substrate is an important one as it means you can now use most of your favorite jailbreak tweaks from Cydia. 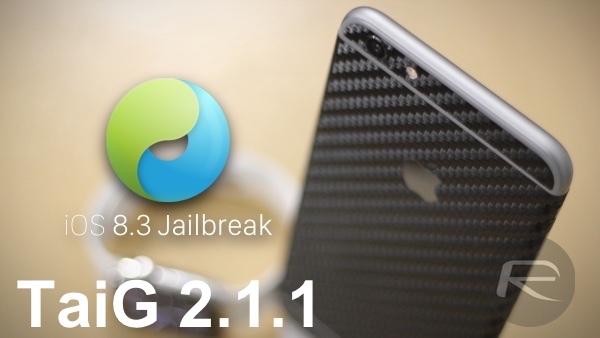 If you are already jailbroken using TaiG 2.0, you don’t need to jailbreak again as a Cydia package file is available which you can easily install manually and it includes all the fixes for version 2.1.1. A guide on it can be found here. For those of you not jailbroken yet or still having issues jailbreaking with TaiG 2.0, you can try TaiG 2.1.1 to jailbreak your device. It is important to note that TaiG 2.1.1 is available for Windows only, and it supports all iPhone, iPad and iPod touch models on iOS 8.3, iOS 8.2 and iOS 8.1.3. The instructions to jailbreak iOS 8.3 using TaiG 2.1.1 are exactly similar to last release. Simply follow our guides posted here to jailbreak your device. Here’s our video tutorial showing the familiar jailbreak process. If you are still having issues jailbreaking with TaiG, follow our troubleshooting guide here: Fix TaiG iOS 8.3 Jailbreak Error 1101, 1102, 1103 And More [Troubleshooting]. Installed successfully? 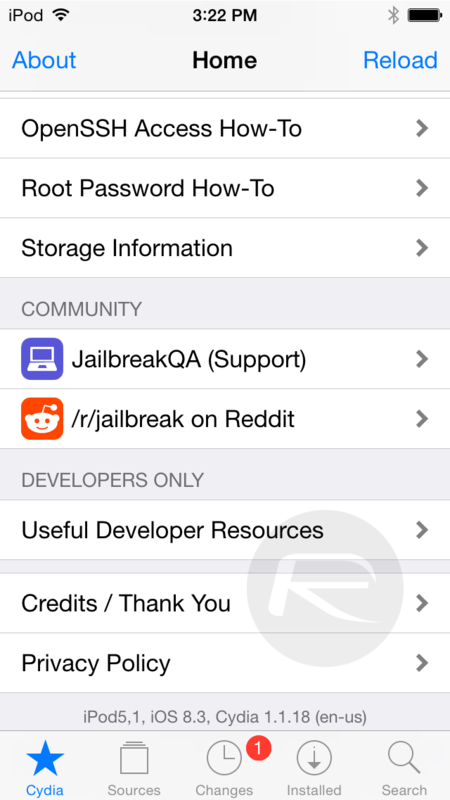 Check out Cydia tweaks compatible with iOS 8.3: iOS 8.3 Compatible Jailbreak Tweaks On Cydia [List]. Update x1: Version 2.1.1 is out. The post above has been updated to reflect this change. Update x2: TaiG has pulled the download links of v2.1.0 and v2.1.1, saying these files were meant to be for internal testing only and can cause issues with icons disappearing on home screen. The wait continues! scheduled end of life cycle triggered by apple 2.0 to wipe out outdated iPhones and iPads to force stupid iFags to buy new iJunk. Try right clicking on Taig app and run as administrator. Also put your phone in airplane mode. That did the trick for me. May take a couple times to do it. Or just wait cause JB is useless right now. unable to download 2.1.1 zip, (shows bad gateway error). Any other way to get taig? This is very bad of you RedmondPie. Seems like cheap publicity stunts. Taig has V2.1.2 available on their website now. TaiG 2.1.2 officially released try with that, and for iTunes uninstall all apple related software from you control panel and reboot your system then iTunes will install. don’t you see ‘Update’ in the title? ‘Update’ is written in the title. That’s rite but how about you write those update lines on top of the post instead in the end. i mean update x1 and update x2 in the beginning of the post. I am aware a website that is still able to ՍΝᏞΟᏟΚing AT&T device after AT&T denied the access of several սոⅼοсking sites to their database following the renew, which caused a multitude of ՍΝᏞΟᏟΚings no longer working anymore. Your website is just google atttiphoneeuunloockiing, it’s undoubtedly one of many fastest ՍΝᏞΟᏟΚing site you’ll find on the net nowadays.